PBR Validate is a filter for use in Substance Painter. It helps you to find possible issues with authored PBR content by checking values for diffuse reflected color (albedo) in the base color as well as metal reflectance values to make sure they are within adequate ranges. 1. Drag the .sbsar file into the Filter Tab of the Substance Painter Shelf. 2. Drag and drop the filter to the layer stack. 3. Select the filter on the layer and set the mode and range you want to validate to. So very useful! Thank you WES! How to use after download?The correct path to the file? Everytime when i try to apply the filter to one of my layers, the Substance log keeps telling me "Material effect selected is not compatible with this content".. Tried to google it but can't really find a answer, anyone a clue what i'm doing wrong? @barneycreations Are you dragging the filter from the filter tab to the layer stack? Thanks everyone! So glad you like the filter. This is one of the most useful things I've ever used in texturing. Honestly, it's so good it should be a standard part of the program. Excellent work! Thanks a lot. So useful. Thank you! I agree with kieran's comments this should be included as standard feature in SP! @rage288 Can you post in our forums? I'd like to see the map data you are plugin into the validate node. Thank you so much for this :) this will give the final polish/push when making pbr compliant textures. Wold like to clarify if this can be used on bitmaps? say I already have an albedo image, and just want to check the values? I'm also having an issue with it only being green. This doesn't seem to work in SP 2.4.1. Is there an update to it? I tried dragging and dropping the.sbsar file into the Filter Tab of Painter Shelf, but got a pop-up window saying "Some files are still designed as "undefined" and will be discarded during import". I just went "Yes" continue, but nothing appeared in the Filters tab. I'm using Painter 2.4.1. What did I do wrong?? 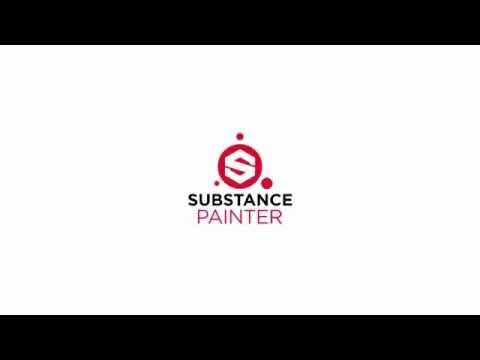 Not working in Substance 2.5.3?? After dragging the .sbasar file into substance painter, befor clicking on "Import" you need to change the asset type from 'undefined' to 'filter'. it only works with metal/roug shader ? Don't seems to work on 2017.4, hope wes can make an update ! Just a reminder: This is a filter, so for it to work, you need to import it as a filter. @trinitron The issue is that the Steel Rust and Wear has just a little too low albedo value in the base color. It's not technically wrong, but it just doesn't fit in the parameters defined by the PBR validate filter. The value for the steel rust and wear is it bit more on the artistic side, which is ok to do. he doesn't work on last version? someone can explain the instalation processus? thanks.